Obsession and betrayal feature in two love triangles set against the music scene in Austin, Texas. 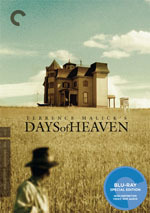 Terrence Malick’s directorial career launched with 1973’s Badlands and moved ahead with 1978’s Days of Heaven. Malick then waited a whopping 20 years before his follow-up, 1998’s Thin Red Line. Malick returned a “mere” seven years later for 2005’s New World. He took six more years to follow it up with 2011’s Tree of Life. Ever since then, though, Malick has cranked out movies at a rapid pace – well, for him, at least. He followed Tree with 2012’s To the Wonder and put out Knight of Cups in 2015. 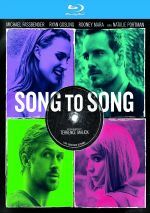 Continuing his burst of late-in-life productivity, Malick returns with 2017’s Song to Song. This release that means the director has completed as many films in the last six years than he did in the first 32 years of his career. Song takes us to Austin Texas and its prosperous music scene. We meet two separate couples: struggling songwriters BV (Ryan Gosling) and Faye (Rooney Mara) as well as music business kingpin Cook (Michael Fassbender) and waitress Rhonda (Natalie Portman). We follow their interactions and attempts to succeed in their chosen fields. Malick’s movies never made money, as even his biggest “hit” - Thin Red Line - peaked at a lackluster $36 million and didn’t come close to profitability. Malick’s last three flicks haven’t even cracked the $1 million mark, so it’s clear studios back him due to his continued status as a “prestige director”. I doubt that reputation will change, but Malick’s last few films have demonstrated that critics won’t support everything he does. After good to great reviews for all his prior efforts, the releases from Wonder through Song have all gotten much less positive assessments. As for me, I always found myself less than enchanted with Malick’s work, as I felt he cared too much about style instead of substance. When Malick tried to tell an actual story – such as in Badlands or New World - he did well, but Malick too often tended to focus on pretty pictures and little else. This trait stretches to an extreme in the formless, rambling Song. As loose a plot synopsis as I provide, I think I actually made the movie looks more narrative-heavy than it is. That means we get little content across the movie’s 129 minutes. Characters occasionally deliver information about each other and their relationships, but usually they simply meander around the screen and eax semi-philosophical. Malick always did love his introspective voiceovers, and those remain an active part of Song. We get plenty of pseudo-profound reflections from the characters, all of which seem pretentious and none of which add meaning to the proceedings. Malick certainly maintains the ability to recruit “A”-level talent. In addition to the actors I mentioned during my plot synopsis, Song features Cate Blanchett, Holly Hunter, Val Kilmer and a mix of notables from the music business. With a cast like that, Song should be able to churn out something of consequence. Unfortunately, it seems so in love with its own grandiose sense of self-importance that it fails to give the actors much to do. Often, Song feels like an entirely improvised affair in which Malick set up the cameras, told the actors to do what they felt like and recorded the results. Characters wander about and dally without purpose or impact. In a 20-minute short, this might seem tolerable, but with more than two hours at its disposal, Song turns into a massive bore. Terrence Malick veers so far into self-parody that not even his usual fine cinematography offers redemption in this snoozefest. Song to Song appears in an aspect ratio of approximately 2.39:1 on this Blu-ray Disc. The movie offered a strong visual presentation. For the most part, sharpness seemed solid. A smattering of wider elements could be slightly soft, but the majority of the flick looked accurate and concise. No issues with moiré effects or jaggies materialized, and I saw no edge haloes or print flaws. Colors opted for a mostly teal tone, though it threw in some reds and oranges as well. The disc replicated these well. Blacks were dark and deep, while low-light shots demonstrated nice clarity. The image looked very good. Given the movie’s parameters, its DTS-HD MA 5.1 soundtrack worked fine. Inevitably, music dominated, and these elements came from the various speakers in a fairly immersive manner. Effects had less to do but they added a little pep to the proceedings. Those components meshed together well and formed a nice sense of environment. Audio quality seemed appealing, with natural, distinctive dialogue. Effects appeared accurate and full, while music was bright and lively. I felt the soundtrack matched the movie well. The Music Behind the Movie runs two minutes, one second and features producers Ken Kao and Sarah Green, music supervisor Lauren Marie Mikus, musicians Lykke Li and Cole Alexander and actors Natalie Portman and Michael Fassbender. We get notes about shooting in Austin and the film’s songs. It’s a forgettable promo piece. The disc opens with ads for Knight of Cups, New Life, The Infiltrator and Wish Upon. Also From Broadgreen adds promos for Bad Santa 2, The Lost City of Z, The Dressmaker, The Neon Demon, 99 Homes, Last Days in the Desert, The Dark Horse, Song of Lahore, Break Point, Eden, I Smile Back, Learning to Drive and A Walk in the Woods. No trailer for Song appears here. An old dog who can’t learn new tricks, Song to Song exploits Terrence Malick’s weaknesses. It delivers a rambling, pointless character piece that goes nowhere. The Blu-ray boasts good picture and audio but lacks significant supplements. Maybe Malick will someday make another interesting movie, but Song isn’t it.